ok, anybody up for a CoD4 Match tomorrow? If so state the times your free. I think i'm free all day lol. sorry i forgot about tonight lol. Howabout we arrange matches right on the same day. There we can get a closer idea as to who will be available. man i've been playing alot of S&D lately, and for me it's either a Big win, or a big loss lol. It's a really 50/50 chance game. Anyways, I'm going to report a ticket to Gamebattles and get our win. 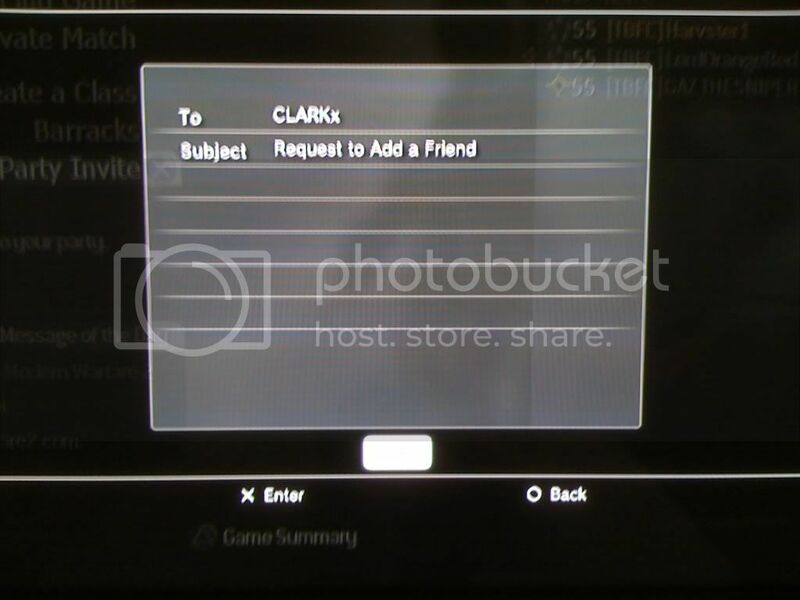 I have proof showing them not having enough space in their friends lists for leader and co-leader. God, the team deathmatch was quite close, and at the end they decided to camp in one of the warehouse thingys on countdown all in a 3, that's where the gap started to widen. but yeah we lost 580-560 that match. Still we put up a big fight. maybe we shouldn't do random matches. but we should challenge easier teams. Ok this the ticket that I have filed guys. Now they claim that we didn't bother adding them, whereas we did try! 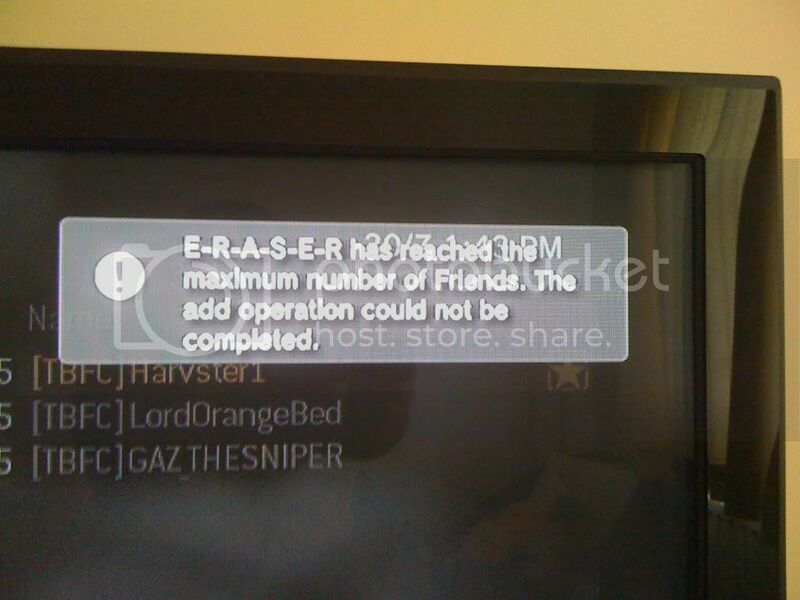 How could they have possibly added us when they have no space on their friends list. 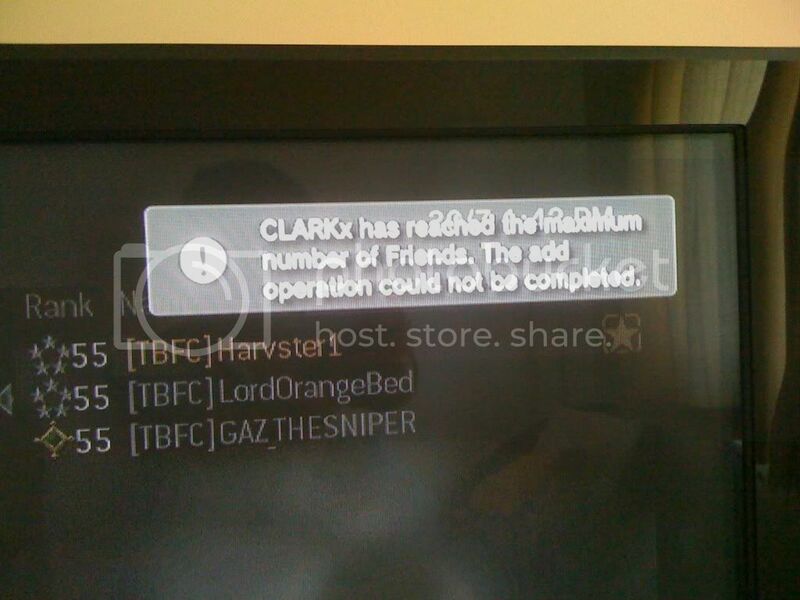 This CLARKx's exact words: "You didn't add me or accept friends request but simply reported your win." 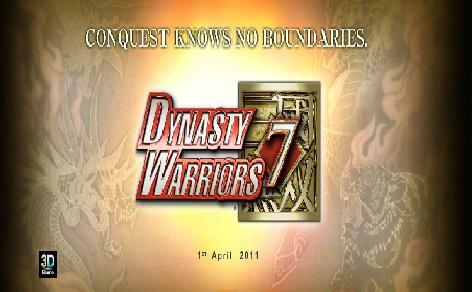 Our team was all ready as you can see in some of the photos for the 3v3 match. I think our team leader did manage to add one of the other members of the other team, but they didn't attend the match. This therefore is their fault that their leader and co-leader did not have enough space and ultimately was their fault that this match could not be played, so we should receive the win by default - a no show." nice job harvster, that should get us the "win"
yeah i know, wierd right. how were ur holidays chris? lol, i wanna go back!! theres no way im playing a clan match when the enemies are hackers! 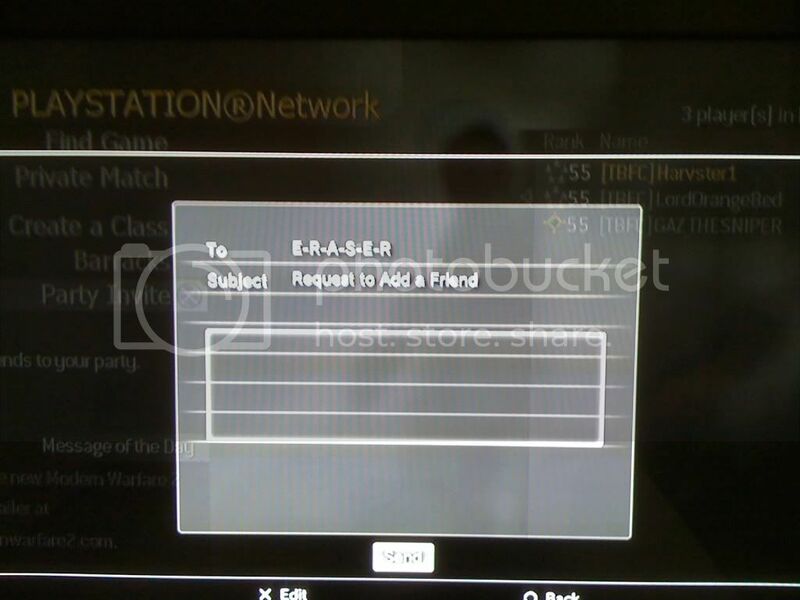 Subject: Re: ok, anybody up for a CoD4 Match tomorrow?